Bitter rivals for years and regular opponents in the playoffs during the early 2000s, it’s understandable that the Toronto Maple Leafs and Ottawa Senators have rarely come to terms when it comes to trades. With just one move in the last 20 years between the two clubs, we had to go all the way back to 1933 to find the fifth most recent deal between the Maple Leafs and Senators, while the other three ranged from the early to late 1990s. That said, here’s a look at the five most recent trades between the Maple Leafs and Senators. The last time these two teams walked away from the trade table with something agreed upon was Feb. 9, 2016, when the Maple Leafs moved their captain Dion Phaneuf, along with four other pieces to the Senators. Related: 7 Years Later, Who Won the Phaneuf Deal? The deal went as follows – the Maple Leafs acquired Jared Cowen, Colin Greening, Milan Michalek, Tobias Lindberg and a 2017 second-round pick in exchange for Phaneuf, Matt Frattin, Casey Bailey, Ryan Rupert and Cody Donaghey. Greening played 30 games for the Maple Leafs following the trade – tallying seven goals and 15 points over that span. Since then, he’s played two seasons with the Toronto Marlies in a veteran leadership role where he’s notched 26 goals and 53 points over 142 regular season games. As for Michalek, he played just 18 games for Toronto, collecting eight points over that span. After spending some time in the AHL with the Marlies in 2016-17, Michalek hasn’t played another game in North America. Lindberg went on to play just six games with the Maple Leafs where he recorded two assists before Toronto traded him to the Vegas Golden Knights along with a pick for Calvin Pickard. The pick might be the only thing of value that the Maple Leafs picked up in the deal, as they used it to take Eemeli Räsänen with the 59th overall pick in 2017. 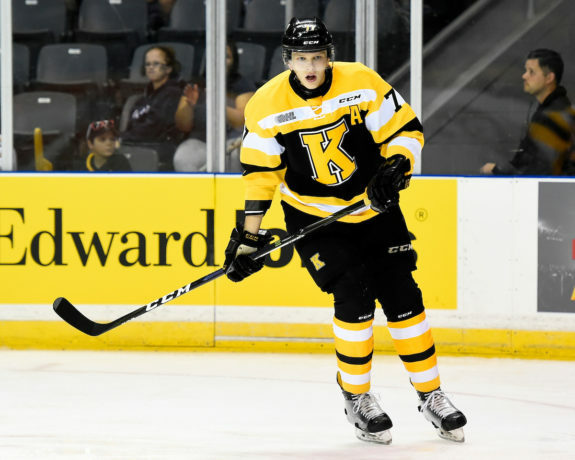 Räsänen played two seasons in the OHL with the Kingston Frontenacs where he tallied 72 points in 127 regular season games as a defenceman, but he joined Jokerit Helsinki of the KHL for the 2018-19 season. As for what the Senators got back in the deal, Frattin, Donaghey and Rupert all haven’t played for the Senators with each of them playing across the globe at this point. As for Bailey, he played seven games for the Senators in 2016-17 with nothing to show for it offensively and spent the entire 2017-18 season with the AHL’s Bridgeport Sound Tigers where he tallied 41 points in 76 regular season games. 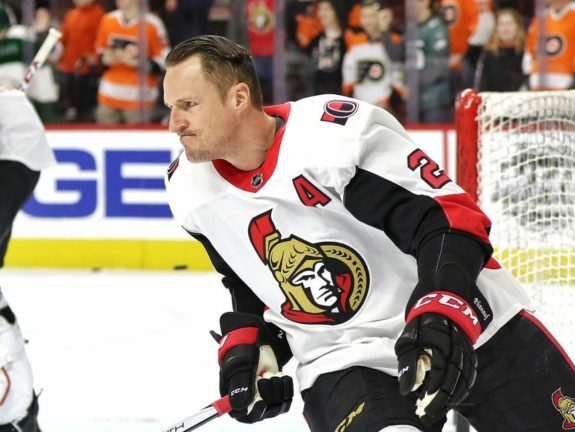 Finally, Phaneuf notched 54 points for the Senators in parts of three season and 154 regular season games. He tacked on another five points in 19 playoff games in 2016-17, but in February 2018, the Senators moved the big blueliner to the Los Angeles Kings. This Leafs-Senators deal opened a lot of cap space for the Maple Leafs who were heading down another path with their rebuild around the corner and landed them a possible defensive-prospect in Räsänen. Before the Phaneuf deal, however, the Maple Leafs and Senators didn’t have much of a trade history. In fact, next to that big deal in 2016, you have to go all the way back to 1998 to find the second most recent trade between the two clubs. Even then it wasn’t much of a headliner when the Maple Leafs acquired a 1998 eighth-round pick on March 17, 1998, in exchange for Per Gustafsson. Gustafsson played nine games for the Senators following the trade with one assist, but that was the end of his NHL career. From there, he joined HV71 Jonkoping of the SEL where he played until 2009-10. As for the pick, the Maple Leafs used the 215th overall selection to take defenceman Dwight Wolfe from the Halifax Mooseheads. Wolfe never made the jump to the NHL and last played with the SEHL’s Cape Fear Fire Antz in 2003-04. Jump back to Feb. 25, 1993. The Maple Leafs acquired Brad Miller from the Senators for a ninth-round pick in 1993 which ended up being the 227th overall selection. With it, the Senators took Pavol Demitra – a pick that would end up turning into quite the player over his NHL career. Demitra played just 59 games with the Senators over parts of three seasons and had 12 goals and 26 points over that span. The Senators eventually traded Demitra to the St. Louis Blues in 1996, and he went on to tally 768 points over 847 regular season games. On top of that he won the Lady Byng Memorial Trophy in 1999-00. Demitra was one of the 43 that died in the plane crash that killed members of his KHL team on Sept. 7, 2011. As for Miller, he didn’t play a single game with the Maple Leafs before they shipped him out to Calgary. Even then, he only played eight games with the Flames before his NHL career ended. Before that, it was a trade that took place on July 20, 1992. The Maple Leafs acquired future considerations for defenceman Brad Marsh. Marsh went on to play 59 games for the Senators in 1992-93, with just three assists to show for it and a minus-29 rating. That was his final season in the NHL. As for the future considerations, well they never came into fruition. Aside from those trades, you have to go back to 1933 and the early edition of the Ottawa franchise to find the fifth most recent trade between the Maple Leafs and Senators. On Oct. 4, 1933, the Maple Leafs moved Bob Gracie and $10,000 to the Senators for Hec Kilrea. Kilrea – uncle to legendary junior coach Brian Kilrea – went on to play 89 regular season games for the Maple Leafs over parts of two seasons following the trade – notching 21 goals and 47 points over that span. The Maple Leafs went on to trade him to Detroit in 1935. For the Senators, on top of the cash, they got Gracie. However, they moved Gracie the same day to Boston for another trio of players. With that in mind, look back at these moves. Was there any clear winners or losers? Be sure to have your say by leaving your thoughts in the comment section below, or tune in next time when we look at the five most recent deals between the Maple Leafs and Philadelphia Flyers.